Yoga nidra is a sleep-based guided meditation that uses your body’s natural sleep mechanism to go into a deeply restorative state of healing. There is nothing required but to lie down and listen. In today’s busy times, we may find it hard to stop – there is always more to do, and even our relaxation time can be full of activity, thereby missing out on the opportunity to truly rest. But our bodies and minds require the reboot that rest offers, a chance to clear the input of the day, make necessary repairs, and be ready to run at optimal efficiency. One of the beautiful benefits of yoga nidra is that not only do you get to rest during the meditation, your brain is being reminded how to go into its natural sleep state. 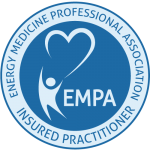 So if you find that you have difficulty winding down at the end of the day or often don’t feel well rested even after a full night’s sleep, you are likely to find an improvement in your ability to fall asleep and sleep well. When we can greet each day feeling truly refreshed and revitalized, we can offer the best of ourselves to whatever the day brings. A quick search online will bring up a wealth of recorded yoga nidra meditations to listen to at home. You will also find yoga nidra classes offered throughout your area at yoga studios and wellness centers. 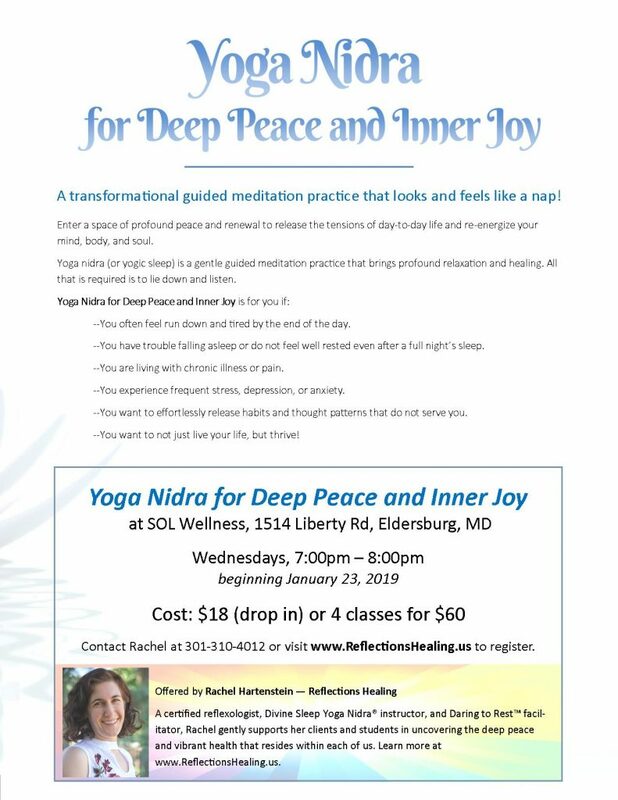 Yoga nidra is gaining popularity in hospitals to assist with healing and recovery; in support groups for addiction, depression, and PTSD; in schools to help students manage stress; among high-powered executives and professional athletes wanting to perform at their best. Yoga nidra is not just for yogis anymore! There is nothing quite like a live class, but my daily practice is mostly done listening to recorded meditations. This makes it possible to have my yoga nidra nap anytime, anywhere, whenever the opportunity arises. Even a short 15 minute meditation on your lunch break can make a tremendous difference in the energy and focus you have to give to the rest of your day. 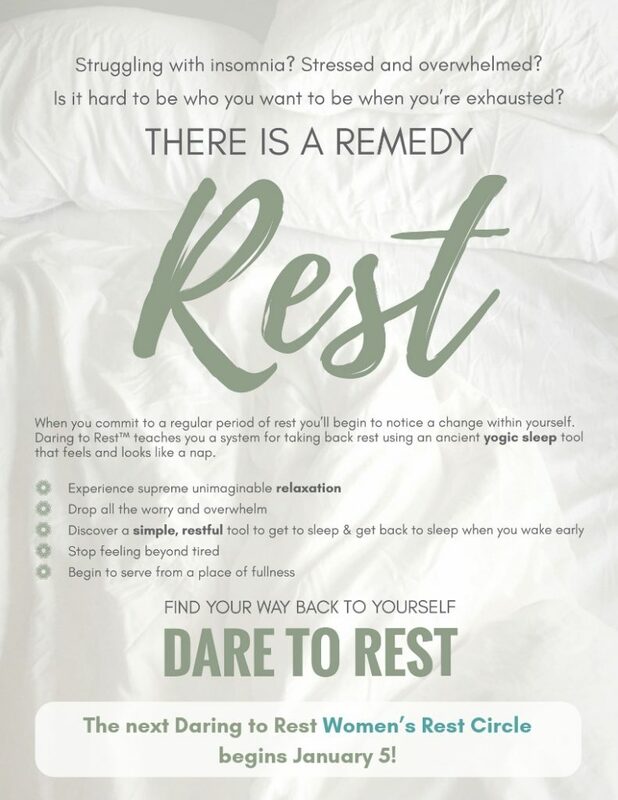 Learn more about yoga nidra classes and the Daring to Rest™ Women’s Rest Circle. “Go into nature, beside water or where you can hold a tree. Gather 49 pebbles, leaves, sticks or whatever nature gives you. With each one, be aware that you are holding a human life, a soul that has just been released from its body in a traumatic way. Assemble these symbols in some way that feels right to you. Add a gesture of cleansing, healing, good wishes or prayers for those souls, and for all those who are grieving for them right now. (For me the gesture was to wash each leaf tenderly in a bucket of sea water). You may wish to make sounds, say blessings or simply be silent. So this afternoon, our family of 4 journeyed to Cornwallis…on our walk down to the beach we passed a beautiful tree who gifted us it’s leaves in it’s Autumnal glory laid ready on the earth for us to collect. Together, our 4 pairs of hands sculpted a beautiful heart in the sand. With each mound of sand, I felt a deep healing, a deep nurturing energy of Mother Earth holding us all… When we bake cakes, the children always stir in ‘love’ – we stir heart shapes into the dough… Today I talked to them about how we bake with love, and how we are creating this sand castle with love, with each mound of sand we sculpt with our hands for the people who died in Christchurch, and for their loved ones. We then placed the leaves – blowing the energy of our love into each one before anchoring it into the middle of the heart with its own shell. I counted at the end to make sure we had 49. I counted 4 times and kept counting 50 – with a sense of sadness, I removed 1 of the leaves, and on returning home this evening have since discovered the death toll has risen to 50 – we honour and send love and light for that soul’s journey too. We left the heart looking out to the approaching ocean. My beautiful son had sculpted his own sand castle directly in front of it…I asked what the lines were around it and he said they were already there…to me it looked like the most beautiful light that the souls were entering…By now the sea will have taken our prayers and sent them out through the waters, up into the heavens – may they be felt in all directions. Are you dreaming of a Well-Rested Woman t-shirt? Well, here it is! This is a t-shirt fundraiser and sales are only possible until February 17th. (Just 10 days!). Last month's Daring to Rest podcast with Dr. Nicole Bowman-Farrell a Native Woman from the Mohican and Lunappe Nation, inspired us to create these shirts to support Native Women. We are focusing on violence against Native Women because according to a new study, "An alarming number of Indigenous women and girls disappear or are murdered each year." There's a critical gap in measuring just how many, but what we do know is that 84% of Native Women experience violence in their lifetime. 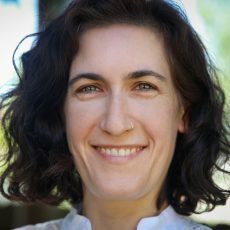 A certified reflexologist, Divine Sleep Yoga Nidra® instructor, and Daring to Rest facilitator, Rachel gently supports her clients and students in uncovering the deep peace and vibrant health that resides within each of us.